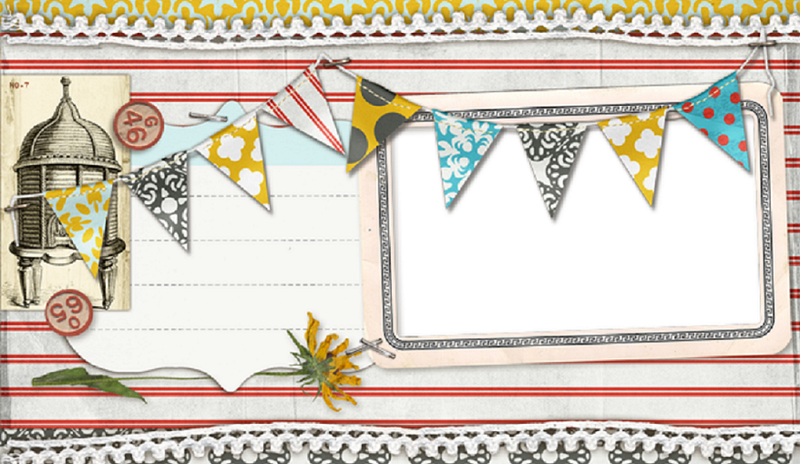 Pages From the Heart: Lauren's Reveal! 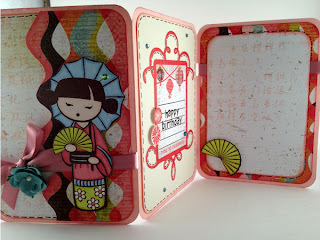 Today we'll be taking a look at Lauren's cards! 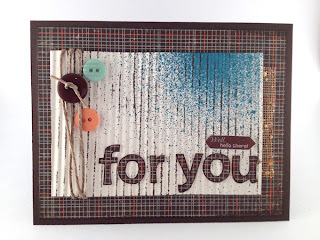 Lauren did a wonderful job with her different collection; let's take a look! Konnichiwa by Basic Grey was such a great line to work with this month. The colors and brightness of it all was so fun! I wanted to show something unique that you can make for a birthday card. 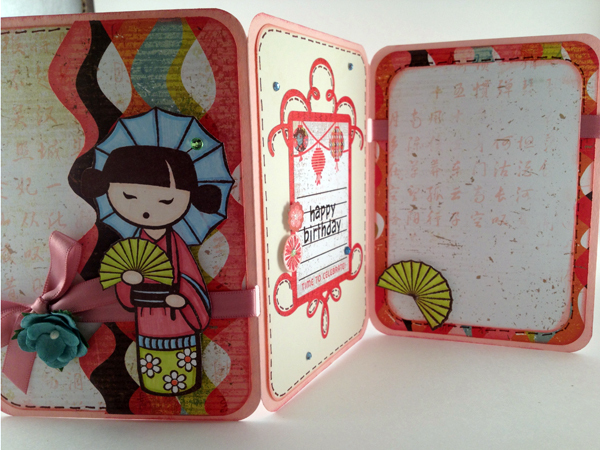 This is a card made from an 12 x 12" piece of card stock instead of the traditional half sheet of 8-1/2 x 11". And it's a great fold to have on display! I love how when it stands up and you can see all three panels. I cut the 12 x 12" down to 12 x 5-1/2" and scored at 4" and 8". 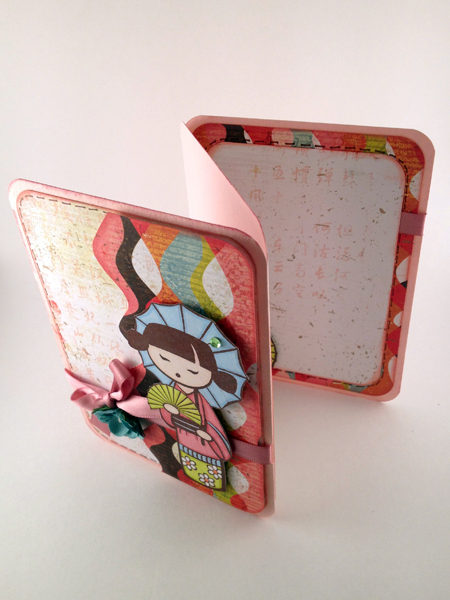 When the card is folded, it will be 4 x 5-1/2" and will still fit into an A2 envelope. 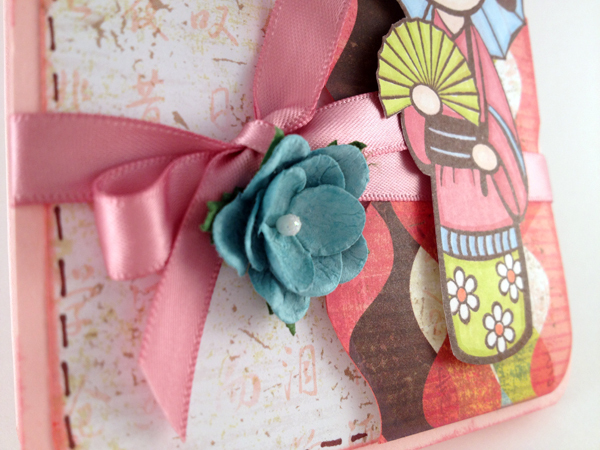 I used both sides of "Good Afternoon" along with the stickers from the Konnichiwa line, ribbon and paper flowers. 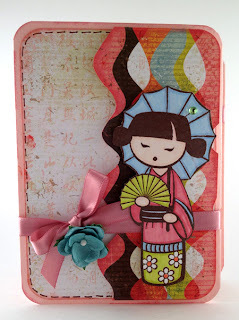 I made my own embellishments - the girl and fan - from stamps and Letraset markers. When you first look at Basic Grey's Konnichiwa line, masculine isn't what first pops into your mind. But when I saw the "Mt. Fuji" paper, I knew it would be possible. The key thing for masculine cards is keeping the card simple and no glitter or flowers allowed. ;) I used brown card stock as the base of the card and Mt. Fuji as the background. 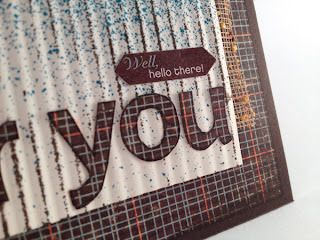 Using my crimper, I crimped a piece of cream card stock, sprayed with some blue mist and lightly "stamped" a brown ink pad onto the crimps. 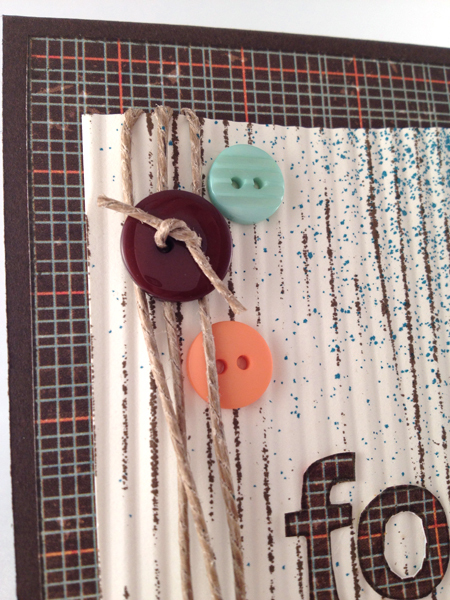 I added a scrap piece of mesh I had, tied around some twine, added a sticker and a few buttons to match. I stamped out the sentiment "for you," but you can use a die cut as well. I think the card radiates masculinity, don't you? 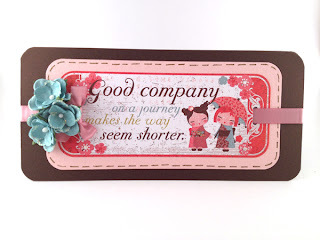 Basic Grey's Konnichiwa line has a great sticker collection and I wanted to use the large sticker with "Good company on a journey makes the way seem shorter" as the focus of my card. 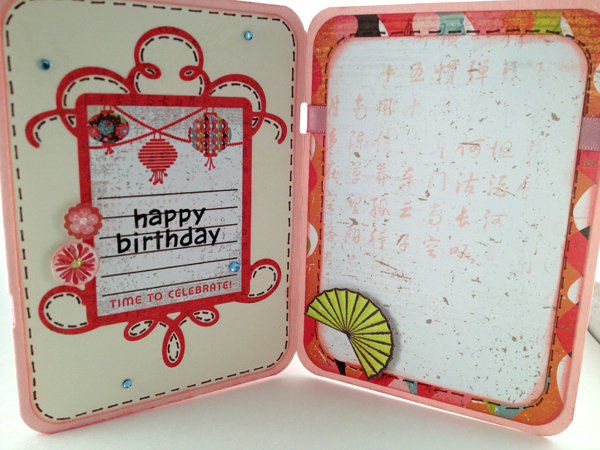 It has a great sentiment and decoration already in the sticker which is a perfect embellishment for a quick card. 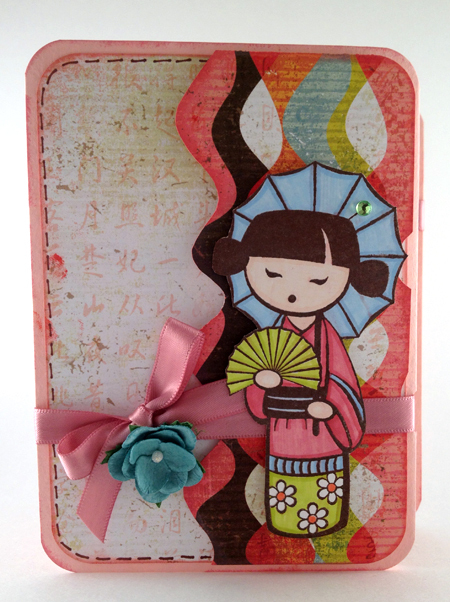 I layered the sticker onto a piece of pink card stock and before gluing it to my brown card base, I wrapped around some pink ribbon. I knew it needed something else so I tied a bow and added very cute, blue flowers. I absolutely love glitter so I used Stickles on the edges of the flower as well as in the centers of the flowers on the sticker. 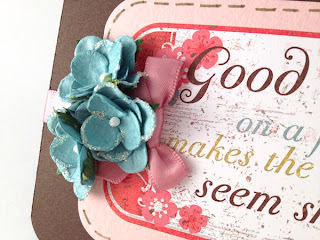 Such a quick, cute card! Well, that's it for today! 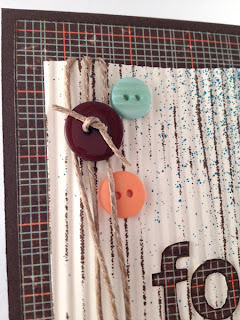 Lauren did a wonderful job showing how versatile a paperline can be! I love that she incorporated 2 very feminine cards and 1 masculine cards so that we're able to see what you can do with one line of papers! Have a great day! We'll be back tomorrow with more cards reveals!